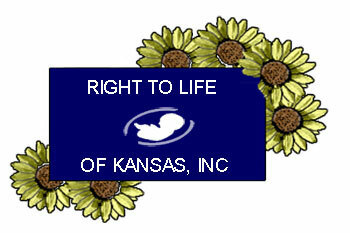 § Right To Life of Kansas believes as Stop Planned Parenthood and columnist Barbara Kralis state. § “We firmly believe that it is time the pro-life community recognized the reality of how so-called contraceptives (oral, injectable, patch, etc.) really work. For years the manufacturers of these products have been telling us that one of the mechanisms by which these products work is the prevention of the implantation of already created human beings. Planned Parenthood admits this mechanism, but argues this is not an abortion because of some arbitrary 1965 definition of abortion by the American College of Obstetricians and Gynecologists. That definition said that an abortion would only be called an abortion after implantation. § “There are myriad false perceptions on what constitutes being pro-life among pro-life groups. I believe that the work of some groups is counter productive to authentic pro-life work. They are part-time or quasi pro-lifers. § “This fact, that some groups are not really pro-life, is the reason why the U.S. is still counting over 45 millions babies surgically killed after almost 32 [now 40] years of work? Some groups are so flawed they must be called fakes. § Right To Life of Kansas has consistently and publicly espoused the true TOTAL PROTECTION plan. § NARALProchoiceAmerica lists the 1965 US Supreme Court decision, Griswold, as the first important court ruling giving women “reproductive freedom.” It was in Griswold where the Court first found the constitutional ‘right to privacy.’ That decision gave ‘married women’ the right to easy access to contraception. By 1973 , in the Roe v Wade decision, this ‘right to privacy’ was deemed by the Court to be ‘a fundamental constitutional right’ and thus allowed women to murder their baby before she is born. § When the pro-death people so easily recognize the connection between ‘birth control’ and abortion, and adamantly resist even the slightest compromise, why do so many pro-life groups refuse to take a public position against contraception? Please read more about the lethal nature of oral contraceptives and more about the connection between contraceptives and abortion.